Vancouver, WA is located along the north side of the Columbia River with a population of nearly 175,000 today. This city is rich in history but also bears new housing developments in every facet of town. 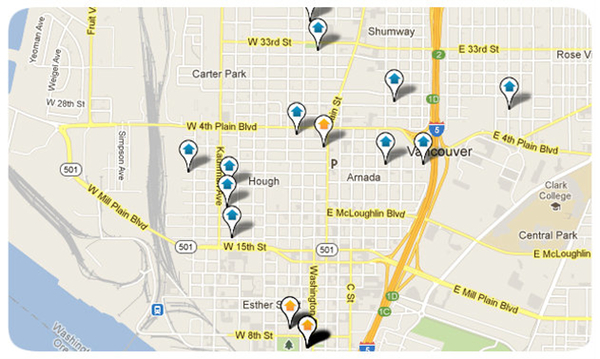 There are currently 64 neighborhood associations in Vancouver. In addition, the city maintains nearly 50 parks and 4 main recreational trail systems. The area's largest employers are the two public school districts, Southwest Washington Medical Center, County of Clark, and Hewlett-Packard. Small business job growth is forecasted to rise as Vancouver completes its downtown revitalization project.